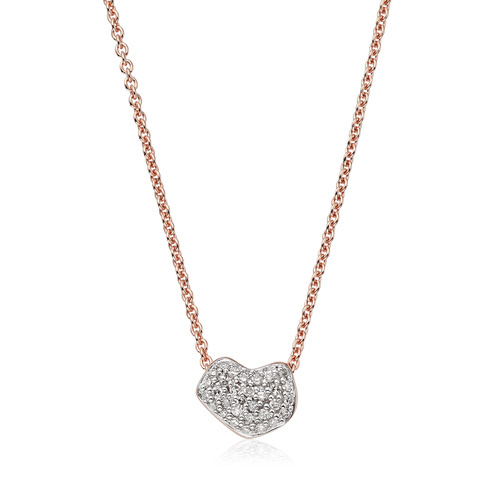 This Nura heart mini bracelet adds shine to any outfit, featuring 31 sparkling pavé set diamonds totalling 0.08 carats in 18ct Rose Gold Vermeil on Sterling Silver. The adjustable chain measures 15.5cm. Nura Heart also features a mini stacking ring and necklace.